CLASSROOM - Our classroom-based courses are taught by hilarious, up-beat traffic safety instructors who truly care — at a price that won't break your bank account. 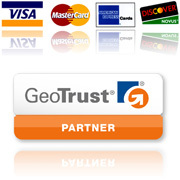 We offer many convenient times and locations. Once you're registered, just show up, relax, and enjoy the show. You'll be done in no time! 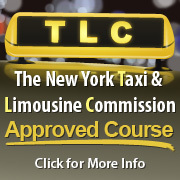 INTERNET - We're also pleased to be able to offer the New York Safety Council's Online Defensive Driving Course. The online course is engaging, easy to follow, and available to you 24/7. Complete this comedy traffic course at your own pace and receive your certificate in the mail. It couldn't be any easier! 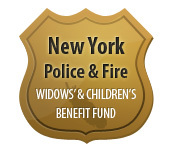 We are a proud sponsor of the New York Police & Fire Widows' & Children's Benefit Fund. Click the badge below to find out more! Are you looking for a fun and entertaining Accident Prevention Course staffed by a helpful, knowledgeable, fun-loving instructor? Are you looking for a convenient location at a time that's right for you? We have all of that at a price that won't break your bank account! Some schools send you to far-off locales to listen to a teacher drone on about...who even knows what? It's not like that with us. Once you're registered, just show up, relax, and enjoy the show. We'll have you back on the road in no time! Call 800-503-3389 Now to Register! New York's Low Cost Accident Prevention Course is proud to present the New York Safety Council's Online Defensive Driving Course. It's entertaining, informative, and loaded with colorful pictures, graphics, and animated cartoons. And the program is easy to use, even if you're new to the Internet. So, grab a soda and some snacks — you're sure to enjoy the course!